Home » Courses » Beautiful Bulkies! I started spinning these yarns years ago, experimenting with different fibres to find the ones that would give me the best results; staple lengths, crimp, and then what plying methods I could use. If you have been following my page for a while you may have already seen the Newsletter and video I sent out (December 2012 – where does the time go!) all about spinning bulky, but it was clearly time for an update and major expansion! Luckily for me, Arlene also loves these giant yarns, so between us we created this new course that we think is informative, fun, and unique! So last year Arlene (my Fiberygoodness partner in fibercrime) and I, developed an entire course, totally focussed on not just spinning thick, but spinning super bulky AND lofty. 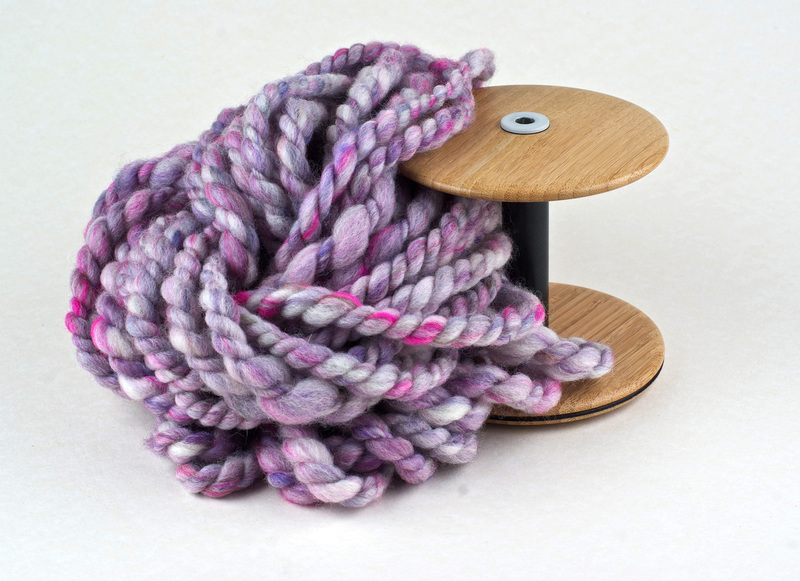 The goal is not to create rope, but to spin a smooshy soft and useable yarn in giant proportions! 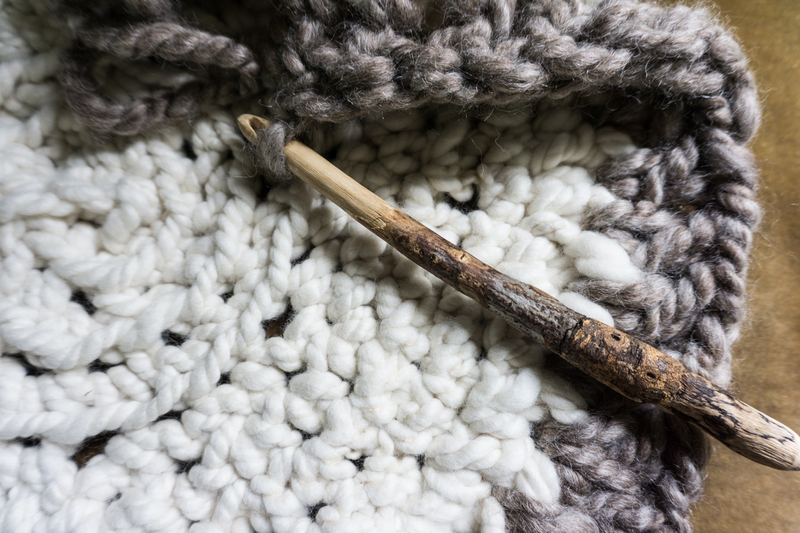 From there its easy to go backwards and spin thinner, but achieving those huge yarns is actually much harder than it seems once you have learned to spin thin. We have made all three videos available to enrolled students via their own (permanent access) area on the website, so even though what we had in mind was one video per week with your practice in between, you might want to settle in with your food coffee and fibre supplies and work through them much faster (or much slower! ), it is self paced because everyone learns in their own way and in their own time – you can’t push creativity! But I will be available to students for feedback, advice, and tips at any time after enrolment, and we have our lovely Facebook Group for sharing in! 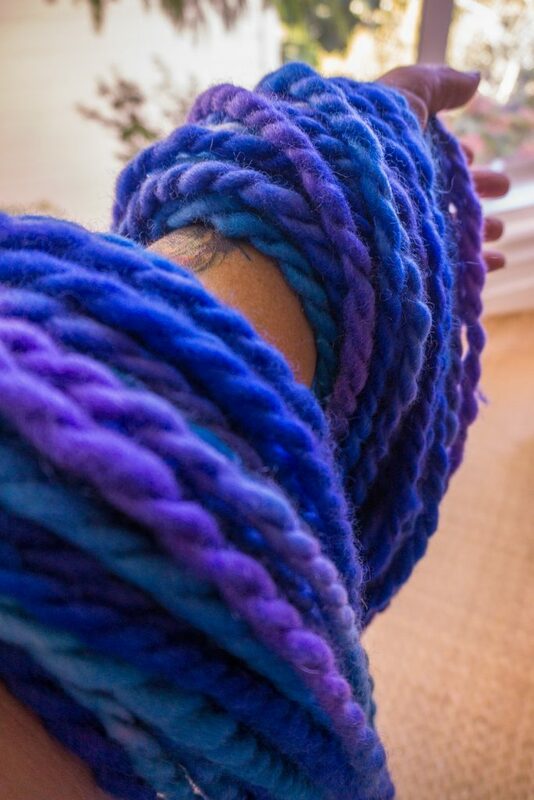 I am excited about the possibility of seeing people spinning up some of these luscious yarns 🙂 And I am thrilled to have the opportunity to share everything I know about spinning them. Arlene devised the super exercises for a very practical hands on course, and I think between us we have created something truly helpful and unique!